Customer relationships are everything in business. 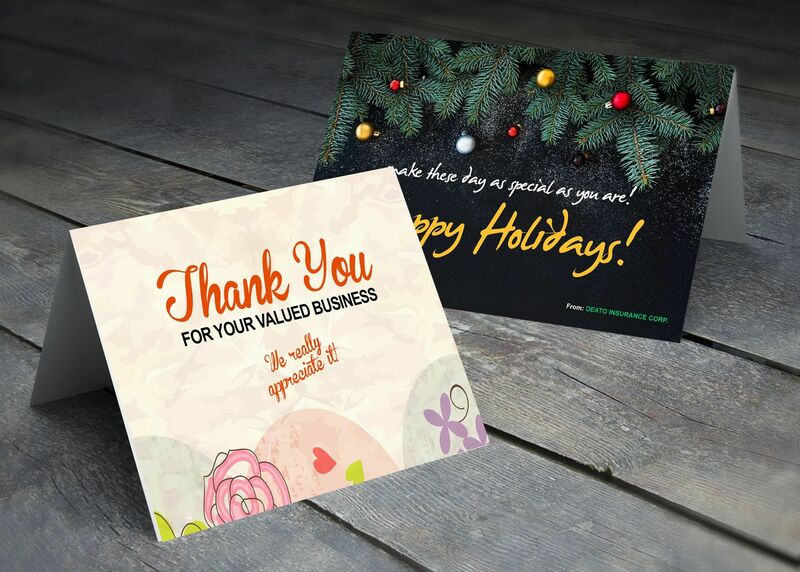 Color FX Web offers wholesale greeting card printing that’s designed to help your customers form a deeper relationship with their own customers. These kind sentiments can be sent for any occasion, such as holidays, congratulations, or simply to check in and say hello. Opening the mailbox and finding a greeting card is a surefire way to put a smile on a person’s face and leave a lasting impression. Sending a greeting card is a great way to make the recipient feel special. Whether your customers are businesses looking for commercial greeting card printing, or individuals who want to add a personal touch to the cards they send family and friends, the finished product must be flawless. No one wants to put their name on a greeting card that’s anything less than perfect. Greeting cards are designed to make an impression. Your customers chose to craft their own greeting cards because they wanted to convey a message that can’t be sent with a store-bought card. This thoughtful gesture is intended to evoke a specific emotion, so it’s important the recipient understands that the card was crafted with care. When creating something that holds as much weight as greeting cards, you need to partner with a printer you can trust. Your customers expect to receive a finished product of the highest quality — and that’s exactly what they deserve. Color FX Web is committed to providing your customers with impeccable commercial greeting card printing. We want to give them something they’re proud to put their name on and send out to those that matter to them. We offer wholesale greeting card printing that’s highly customizable. Our team firmly believes that no two greeting cards should be the same. Color FX Web specializes in greeting cards, so no matter what your customers want, it’s our pleasure to deliver. We’re here to offer advice and guidance every step of the way. There’s no room for error in greeting card printing. Our team understands that your customers want — and deserve — the absolute best. 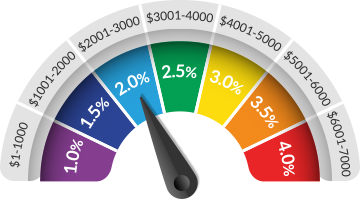 Color FX Web is committed to providing you with outstanding customer service from the beginning. When you place an order with us, you’ll speak with a real, live person to ensure we have all the specifics right. We know how easy it is to make mistakes when trying to navigate another company’s online submission form on your own and we don’t want you to feel that frustration. A representative from our company will help you place your greeting card order, then we’ll assign you a dedicated account executive. This person will serve as your one point of contact throughout the entire process, so you won’t have to deal with the hassle of never knowing where to direct your questions, comments and concerns. Partner with Color FX Web today to provide your customers with the premium quality, custom greeting cards they need. Small Greeting Card Printing: Printed on 14pt.Gloss Cover Full Bleed with various Coating Options, cut to 5" x 7" optional Score on 7" Flat (folded size 5" x 3.5"). Large Greeting Card Printing: Printed on 14pt.Gloss Cover Full Bleed with various Coating Options, cut to 7" x 10" optional Score on 5" Flat (folded size 7" x 5"). Mailing not available for this product.